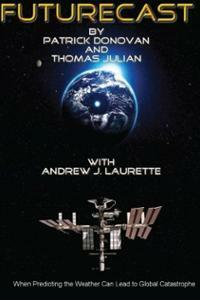 Gary decided, when he first started writing, on the pseudonym Andrew J. Laurette. When collaborating on his first sci-fi novel he felt it was appropriate. Harold Keeley, a television weatherman, stumbles onto a system to control the weather after his friend and business partner, who designed the system, mysteriously dies in a car accident. Unbeknownst to Keeley, the system also has weapons applications, the development of which have been paid for by a power-hungry billionaire businessman, and supported at the highest levels of the U.S. government. When Keeley experiments with the system in order to increase his television ratings, the results are potentially deadly and the ultimate ramifications threaten the very future of the earth's weather. Now, it is up to Keeley; a doomed NASA astronaut abandoned in space; and a former undercover operative, recalled to duty for one last mission, to disable the system and remove the threat of an imminent planet-wide catastrophe.